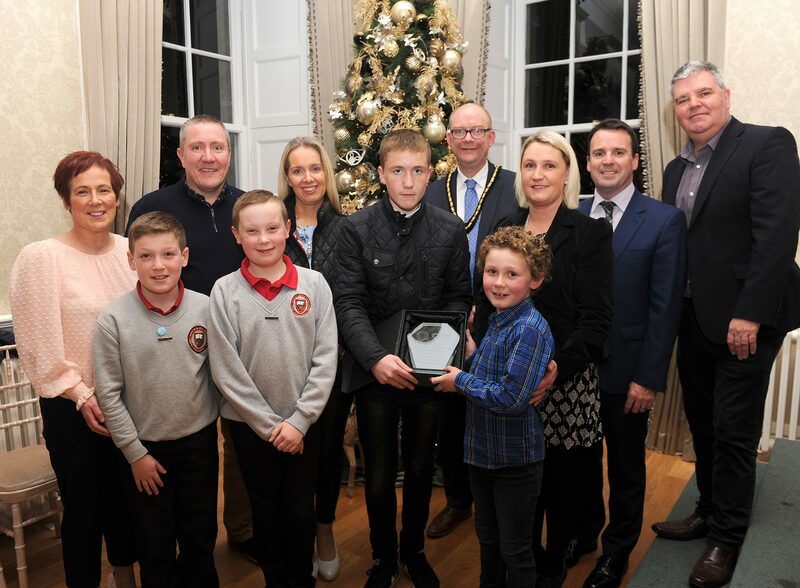 Deputy Lord Mayor of Armagh City, Banbridge and Craigavon, Cllr Paul Duffy hosted a reception at the Palace, where he presented Ronan McCann (Our Lady’s & St Mochua’s PS, Derrynoose) with an award to recognise ‘The Kindness, The Friendship and The Empathy’ which he has shown to his ‘Buddy’ Fabian O Hare. 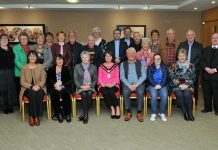 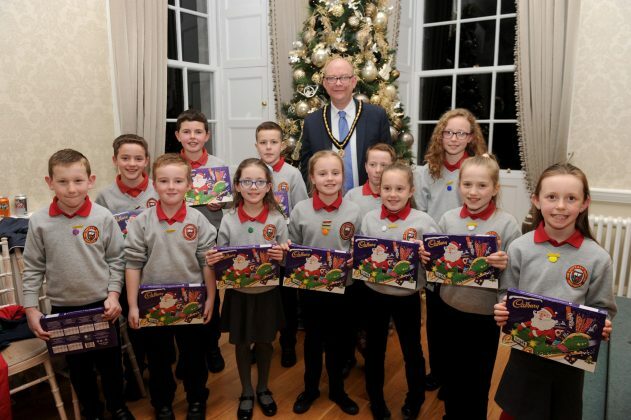 Deputy Lord Mayor, Cllr Paul Duffy commented: It’s fantastic to be able to recognise the great contribution that the ‘Buddy System’ has had within Derrynoose, as the P1 and P7 pupils of Our Lady’s & St Mochua’s Primary School work together to forge lasting friendships such as that of Ronan (past pupil) and Fabian (P4). 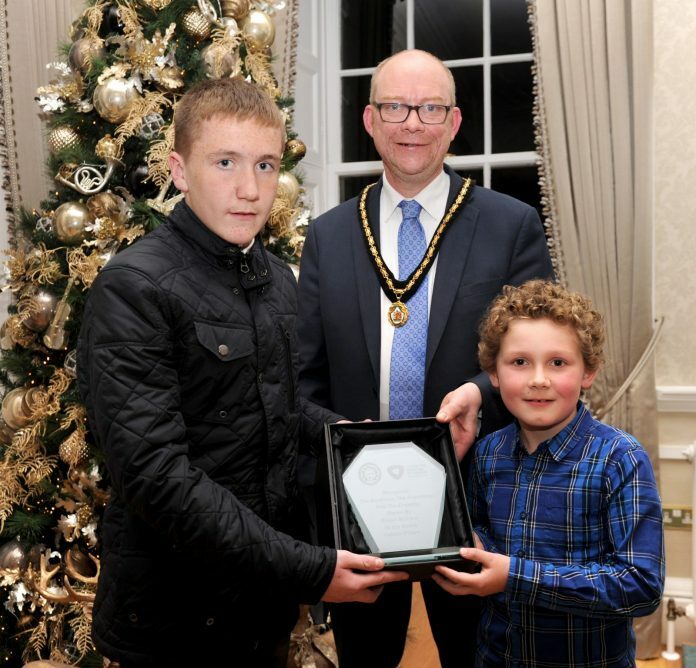 It was a pleasure to meet with both of these young boys and their fellow pupils, they are a credit to their local community and their heart-warming story is inspirational. 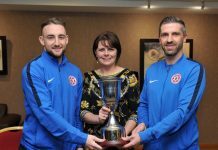 Ronan has been a great support to Fabian through periods of illness and they continue to grow and strengthen their friendship to this day. 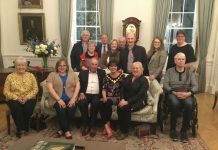 Good news’s stories such as this deserve recognition and during the remainder of my term in office I hope to host more inspirational people such as this. Deputy Lord Mayor, Cllr Paul Duffy pictured with the pupils of Our Lady’s & St Mochuas PS 'Eco Committee'. The 'Pupil Leadership Team' of Our Lady’s & St Mochuas PS, Derrynoose met with the Deputy Lord Mayor, Cllr Paul Duffy. Deputy Lord Mayor, Cllr Paul Duffy presents the pupils of Our Lady’s & St Mochua’s PS 'Change maker Prefects' with selection boxes at their visit to the Palace. 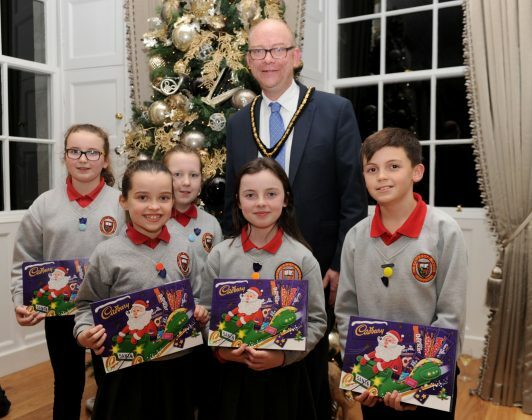 Deputy Lord Mayor, Cllr Paul Duffy pictured alongside Mrs Hamilton (Vice-Principal), Mr & Mrs Eamonn McCann, Ronan McCann, Fabian O'Hare and his mum Julianne O’Hare, Mr Farrell (Principal) and Cathal Boylan MLA at The Palace, Armagh. 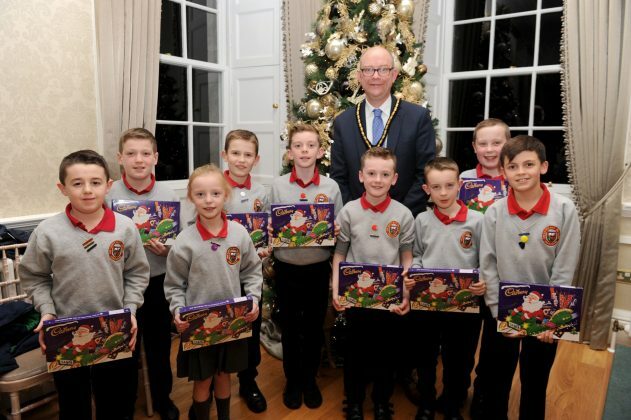 Also pictured are school prefects Ronan McNally and Robert Moore.